Mycotoxicoses are diseases resulting from consumption or exposure to mycotoxins. Mycotoxins are secondary metabolites of fungi that can cause serious health problems in animals, especially chickens. They are produced by various molds belonging primarily to the species of the Aspergillus, Penicillium, and Fusarium genera. 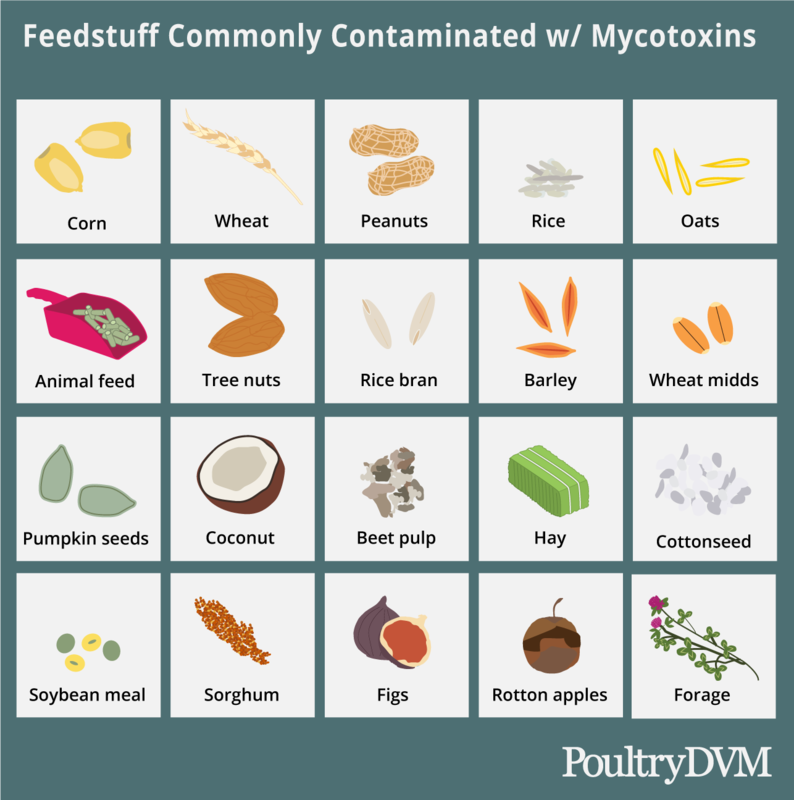 Mycotoxins are produced both pre- and post-harvest in crops and other feed and food commodities. Mycotoxins have also been isolated and in some cases, abundant in straw, dust, materials used for animal bedding, certain pasture grasses, hay, medicinal herbs, fruits and nuts. Ingestion of mycotoxins can cause acute, overt disease with high morbidity and death to chronic, depressed resistance to pathogens and reduced productivity. Chronic ingestion of low levels of mycotoxins can cause a wide range of metabolic, physiologic, and immunologic disturbances in chickens. The European Union (EU) and the Federal Department of Agriculture (FDA) in the United States, has established limits for several mycotoxins that are regulated. FDA (only advisory level, does not enforce): < 10 ppm for grain and grain by-products and < 5 ppm for complete feeds. Certain types of fungi and mycotoxins are attracted to particular crop species, climates, and weather events, and their distribution differs across geographical regions. Mold growth is not uniform in feed, which makes testing feed samples difficult, slow and expensive. Usually there are multiple mycotoxins involved, making diagnosis difficult as there are additive and even synergistic interactions. Mycotoxins affect more than one body system simultaneously. Not all mycotoxins can be detected in routine mycotoxin testing by commercial laboratories. Forage (hay, silage) and animal bedding (straw, shavings ) are not regulated for the presence of mycotoxins. Often times, symptoms are general and similar to that caused by many other diseases. Also since chronic cases involve the ingestion of low levels of mycotoxins over a period of times, feed, bedding and pasture contamination is often overlooked. Samples of at least 500g (1lb) of suspected contaminated feed or ingredient should be properly collected in separate containers and promptly submitted to a feed testing laboratory for analysis. 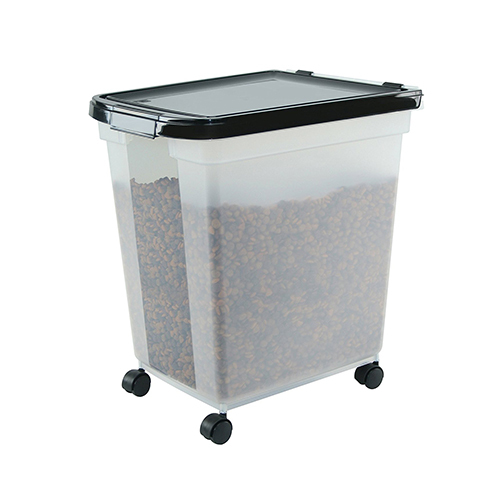 Store feed in a sealed, rodent-proof container that contains no holes. Do not let food ever get damp. Moisture is the number one instigator for mold growth. Keep under 14% moisture. Feed should be inspected regularly for temperature, insects, and wet spots. 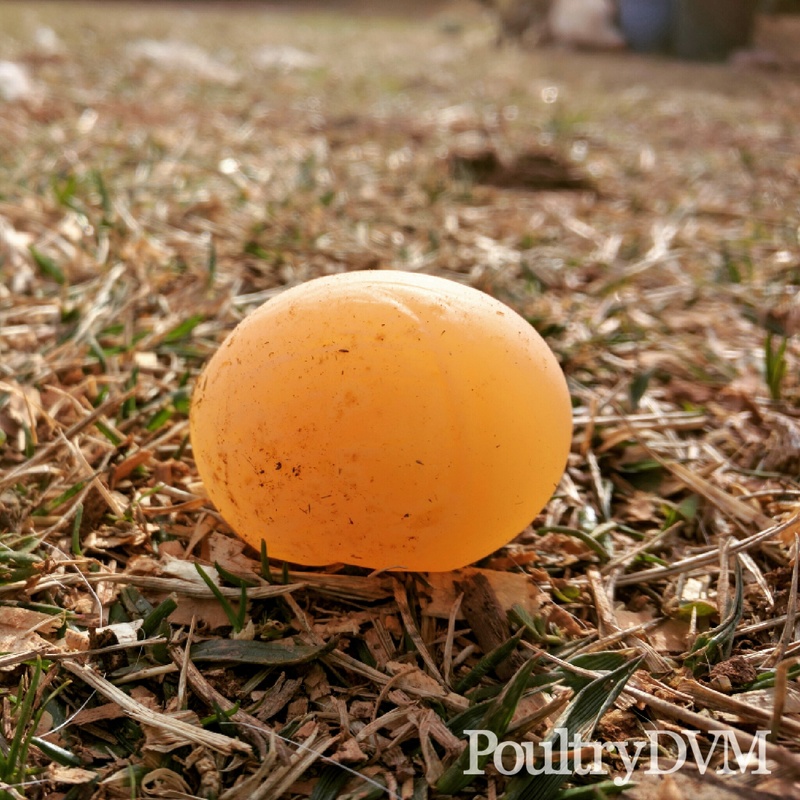 During wet weather chickens should not have access to compost areas and uneaten decaying fruits and vegetables should be removed from these areas at all times.